“It’s that time of year! 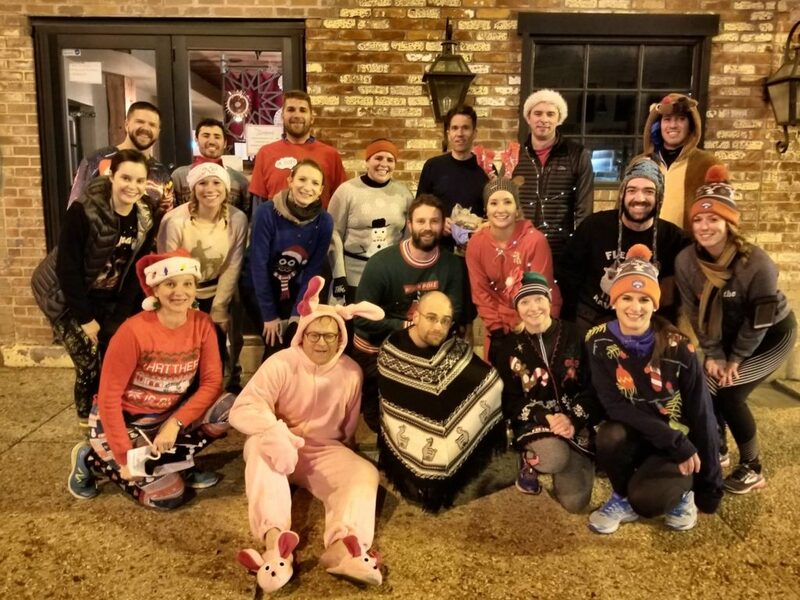 The time for the Third Annual H Street Ugly Holiday Sweater Run on Thursday Night, December 13th! This event is brought you by your friendly neighborhood running clubs – H Street Runners, Argonaut Running Club (“Argo Run Club”), and Big Board Runners! We’ll be hosted this year by Duffy’s at 10th and H NE! Please join us in your most tacky festive sweaters or attire for a holiday fun run up and down H Street (a distance of less than 2 miles). Afterward we’ll gather at Duffy’s in the new covered tent area in the back so we can have the event rain or shine! Continuing Adam’s tradition, with this event and because this is the season of love and giving, we’re having two different collections this year! We’ll be collecting running shoes for Back on My Feet (BOMF) (https://dc.backonmyfeet.org/donate), which is a charity that “uses the power of running to fuel economic stability for those experiencing homelessness”. Also, please consider bringing a race medal or two as a donation to Medals for Mettle, a nonprofit founded by marathoners, which gives race medals to honor and uplift folks – especially children struggling with serious illness or disease. To learn more about Medals for Mettle, check out their website — https://medals4mettle.org/. Medals from all races (any distance) will be accepted and will be presented to very deserving people who will really love them. So consider donating a race medal – or as many of you can! We’ll have a shoe and/or medal collection at the start of the run! We collected so many medals last year, lets keep up the good will!! Join us for this special H Street holiday event and please invite all your friends and neighbors. ”Tis the Season!